In a media world with few global barriers, NZ On Air's job is to preserve a place for local content on television, radio and online. It reflects who we are as a people; our culture and identity. By reflecting diversity we include all peoples, and we add to the cultural richness of local media. broadening the range of content available for different audiences. Radio provides a unique opportunity to target very specific audiences. Our support on radio spans from the treasure trove of diversity on community access radio, to the pasifika targetted stations 531Pi, NiuFM and Samoa Capital Radio, to niche content for mainstream commercial radio audiences. Check out how we help to keep Pacific languages, culture and issues on the air with support for radio stations and radio programmes broadcasting in a variety of Pacific languages here. Community access radio puts the D in Diversity. It's where anyone can go to find or make a radio programme about anything at all! What is community access radio? Up and down the country there's a vast collection of people bound by one idea - radio by, for and about their communities. There are 12 community access radio stations funded through NZ On Air. They make more than 480 programmes in up to 40 different languages. Their programmes are broadcast locally but available to anyone, anywhere via podcasts. The programmes are made largely by community volunteers, assisted by a handful of dedicated staff. Access radio programmes cover an incredibly (that D word again!) diverse range from programmes by and for particular ethnic groups, programmes about arts, current affairs, niche music, children's and youth programmes, health, spirituality, programmes by and for people with disabilities and community organisations reaching out with advice and support on numerous topics. 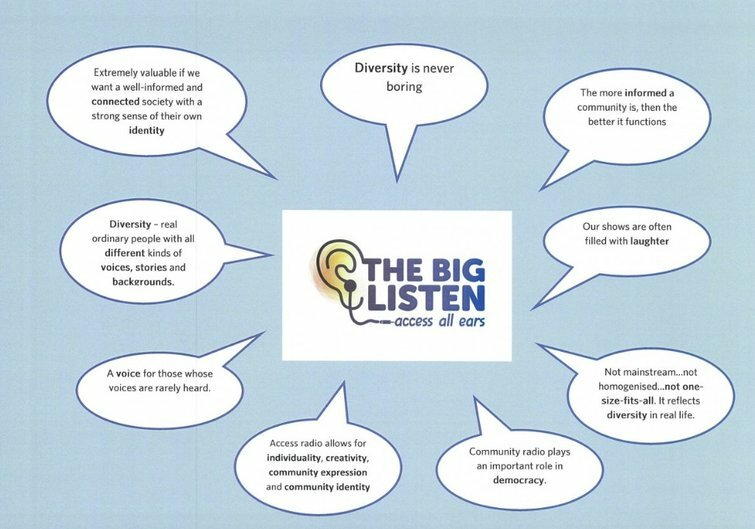 In August 2016 all 12 stations have joined together in a nationwide campaign to celebrate the unique values and qualities of access radio - its called The Big Listen. Here we feature just some of the magnificent programmes made by access radio. Access radio has a unique way of bringing communities together. It is especially important for people who have come here from other parts of the world - it helps maintain language and cultures, but also assists with settling in to their new home in New Zealand. 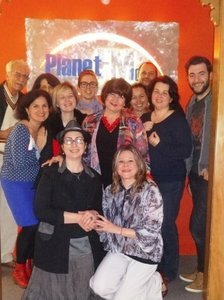 At Planet FM in Auckland a weekly radio programme Romanie Plai de Dor has become the centrepiece of the Romanian community in Auckland. Lucia (Tibre) Davis, a former journalist in Romania, is a long-standing producer and presenter of the programme. She says the community has many activities and groups all of which have been initiated, promoted or celebrated through the access radio programme. One of my fond memories is of discussing on air the need for a community newsletter. The very next week 11 year old Alexandru knocked on the door with the first community newsletter that he wrote and edited. It contained local news, Romanian recipes, poetry, tips and advice for happily surviving the Auckland winter. Ten years later, the magazine Romanian Pages promotes New Zealand all over the world. Lucia says the radio programme connects Romanians around the world, building bridges and sharing experiences. "We use it to build our community: to connect, to brainstorm ideas, to share best practice, to celebrate success. Our most important shows are archived on Planet FM website: the oral history of our community in Auckland, told by us. Planet FM is our living memory." To find out more about Romanie Plai de Dor or any of the Planet FM programmes check out the station's website. 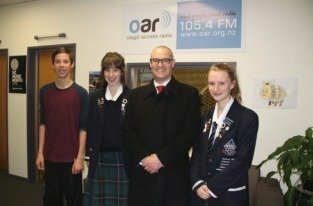 A joint initiative between Otago Access Radio and the Dunedin City Council’s Youth Council and Youth Action Committee (YAC) is encouraging young people to become active citizens. The Source is a 10-part radio/podcast series exploring a range of civics topics, from the roles and responsibilities of Members of Parliament to understanding the functions of local Councils and their rating systems. Each episode of The Source is researched and presented by Dunedin Youth Council representatives, young people aged between 12 and 17 whose primary role is to work with Council staff and other youth, to design a system that ensures young people can participate in the Council’s decision making, easily and enjoyably. The concept for the series was developed by YAC member Bokyong Mun in partnership with Otago Access Radio Youth Coordinator Domi Angelo-Laloli. Bokyong said the Access radio show would encourage the future generation of voters to engage with the decision-making process. As a student and a young person in Dunedin, I thought there was a gap in terms of access we had to information about citizenship in general and how to be an active citizen within our society. With the local body elections coming up, I thought it was important that the young voters in Dunedin understand what the council does. NZ On Air commissioned Colmar Brunton to conduct some research into how well community access radio meets the needs of communities. The research was carried out via an online forum in June 2016. Programme makers and people involved with a wide range of community groups were invited to participate. We were looking for views both from the inside and the outside. The results showed a much loved and valued service. Some of the key comments on the value of access radio are captured in the picture below. Otago Access Radio (OAR FM) is providing a unique opportunity for Dunedin-based ethnic groups and individuals to share language, music and culture by making their own radio shows for the station’s new Connecting Cultures Zone. The Settling In Fund: Office of Ethnic Communities has provided funding for the initiative, which has seen OAR FM create a dedicated zone for cultural broadcasts on Monday, Tuesday and Wednesday evenings. Lina Lastra, Dunedin Multi-Ethnic Council vice-president and host of La Vida Loca says DMEC is delighted with the Connecting Cultures project. One of the most important messages we promote (among migrants) is that they should feel proud of their roots. With radio, you can share all the things that are important to you and your culture and try to pass that on, not only to New Zealand people but to the next generation. Connecting Cultures Zone programmes air Mondays, Tuesdays and Wednesdays between 7-9pm on OAR 105.4FM and 1575AM, and are live and podcast from www.oar.org.nz. La Vida Loca (Mondays, 7-8pm), hosted by Dunedin Multi-Ethnic Council (DMEC) vice-president Lina Lastra and University of Otago Spanish language lecturer Dr Adelso Yanez, offers insight into the music and language of a range of Spanish-speaking nations. Namasthe Telugu (Mondays, 8-8.30pm), presented by Sasi Bhushan, offers music and news from the Telugu region of Southern India. Chinese Cultural Music Night (Mondays, 8.30-9pm) is presented by Dorothy Li and Hillary Hang, members of the Dunedin Chinese Art/Instrument Association. Vanakkam Tamizha (Tuesdays, 7-8pm), hosted by Rumesh Duraikannu of Dunedin Tamil Friends, celebrates the richness of Tamil language and culture. Settlement Information with Citizens Advice Bureau (second Tuesday of the month, 8.30-9pm) delivers the latest information for new migrants to the city. 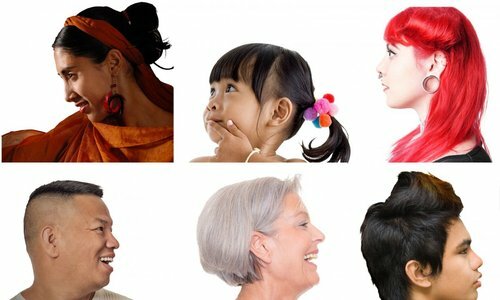 Shakti Voices (third Tuesday of the month, 8.30-9pm) promotes Shakti’s role as an organisation serving migrant and refugee women of Asian, African and Middle Eastern origin, working to end all forms of violence and discrimination against women of colour. Hello Kerala (Wednesdays, 8.30-9pm), hosted by Swaroopa Unni, features Malayalam music and news from the Kerala region of in South India, famous for its beaches, rivers, greenery, monsoon and movies. Aaradhna is an R n B, Soul and Pop artist who's been at the forefront of New Zealand music for over a decade. 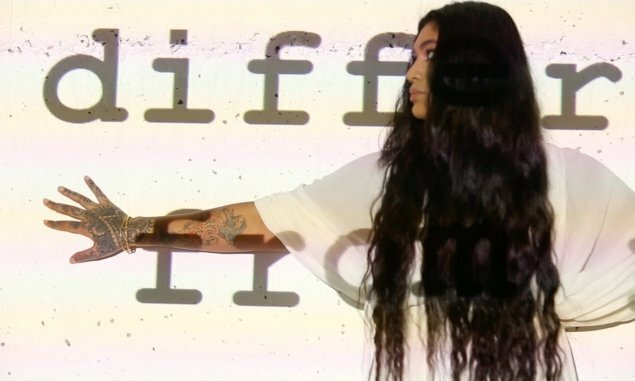 A New Zealander of Samoan and Indian descent, Aaradhna she sings about the challenges that have come with this and the racism she has faced in her recently released and critically acclaimed album Brown Girl. The title track and single Brown Girl reached the #1 spot on the NZ Top 40 chart. Young Tapz is a Hip Hop artist making waves around the world. 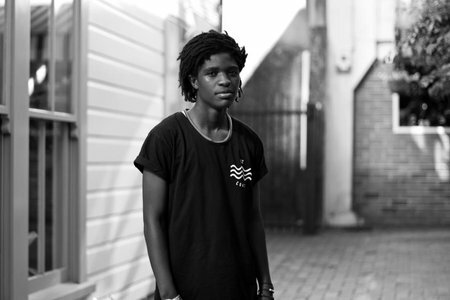 The 20 year old rapper moved to Wellington from Zimbabwe 12 years ago has been making music since he was 15. His latest single Killer reached #3 Spotify's Global Viral Chart. Powerpop group Openside are one of the most talked about NZ bands at the moment. This year they have opened for international acts Twenty One Pilots, LadyHawke and Melanie Martinez, played festivals such as Auckland City Limits and gained the attention of radio with their singles Letting It Out and Branches. Toni Huata performs Māori World Music. She sings Te Reo in a variety of styles from Electronic to Roots, Classical and Pop. Toni's NZ On Air funded video for Hopukia Te Tao won the Best Music Video Award at the 2015 Waiata Māori Music Awards. Esteemed songwriter, Lontalius is 19 year old Eddie Johnston from Wellington. He released his debut album 'I'll Forget 17' earlier this year, and his emotive indie pop songs are receiving millions of streams on Spotify, YouTube and Soundcloud where he was first discovered for his amazing covers. Hailing from Hamilton, rock outfit Devilskin has grown a cult fan-following throughout New Zealand which is expanding internationally. Their debut album We Rise was released in 2014, debuted at #1 on the Official New Zealand Music Chart and was certified Platinum by Recorded Music NZ last year. Long White Cloud is anthem for the Rio 2016 Paralympic Games sung by Natalie Te Paa, from Takapuna, and Cam Dawson, from Blenheim (both musicians are blind). It's a song about Kiwi pride and unity.